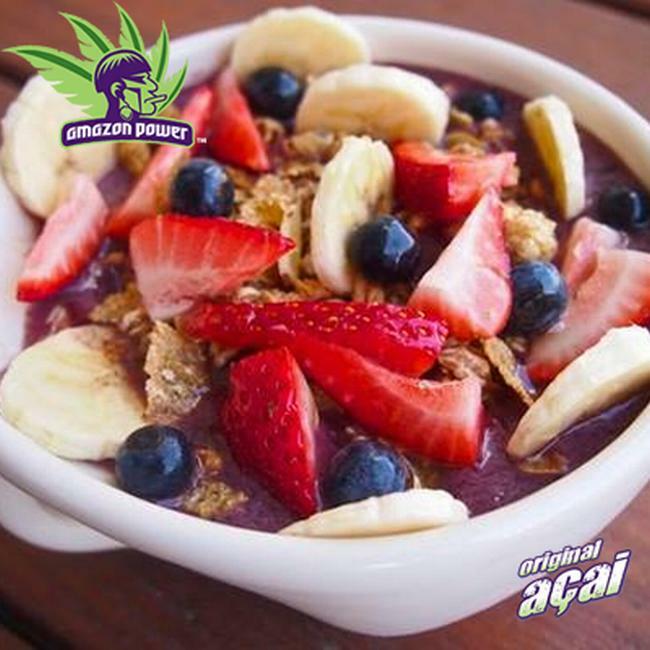 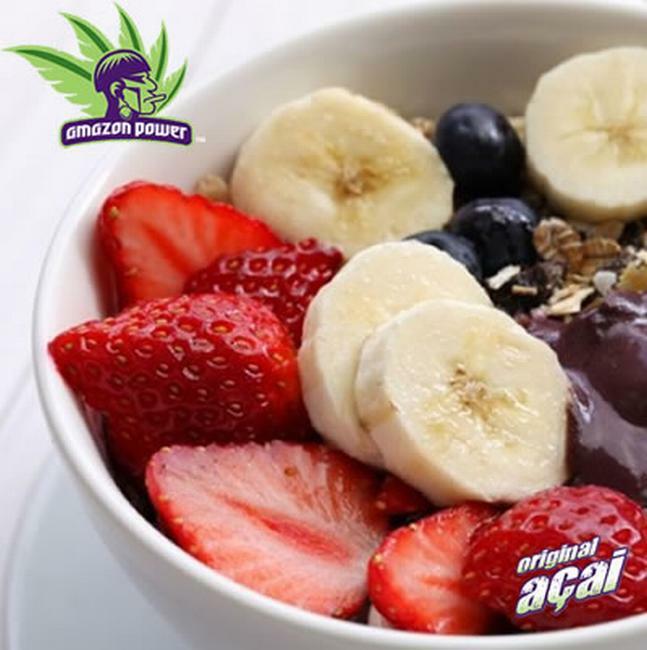 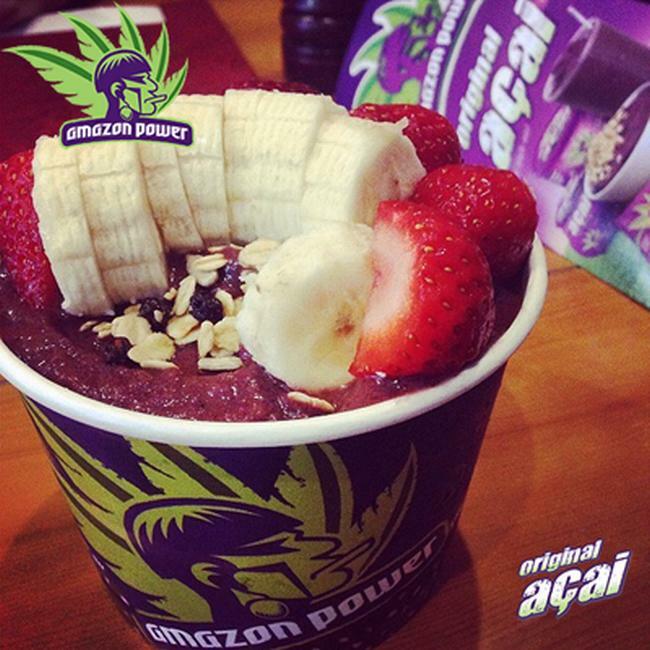 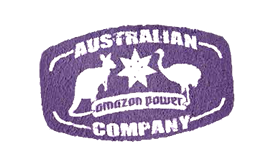 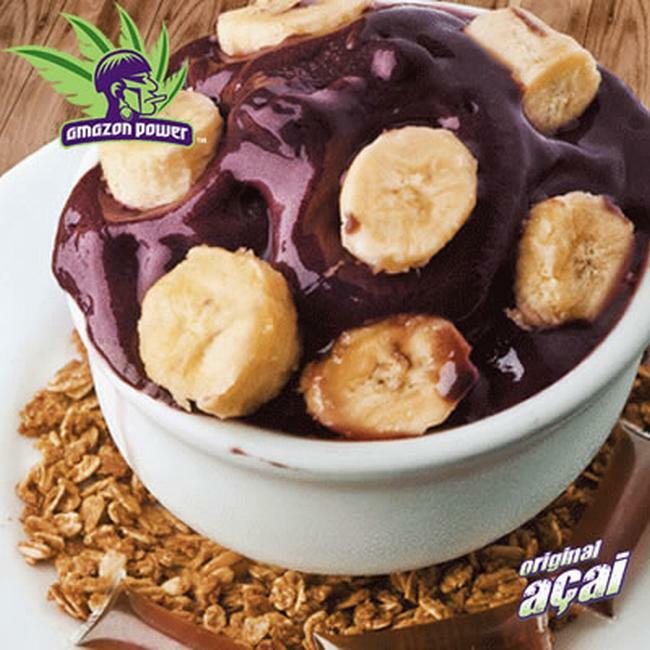 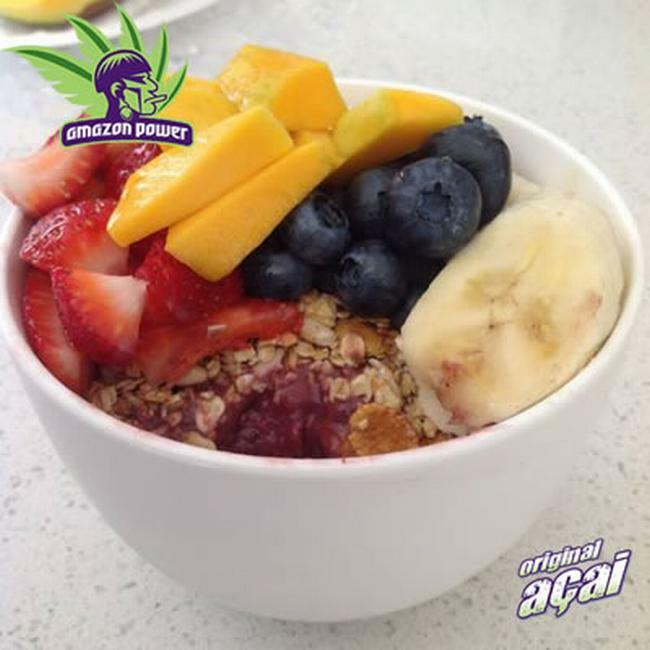 Instructions: Blend the Amazon Power Frozen Acai and other ingredients in a blender or hand mixer until it gets creamy and smooth. 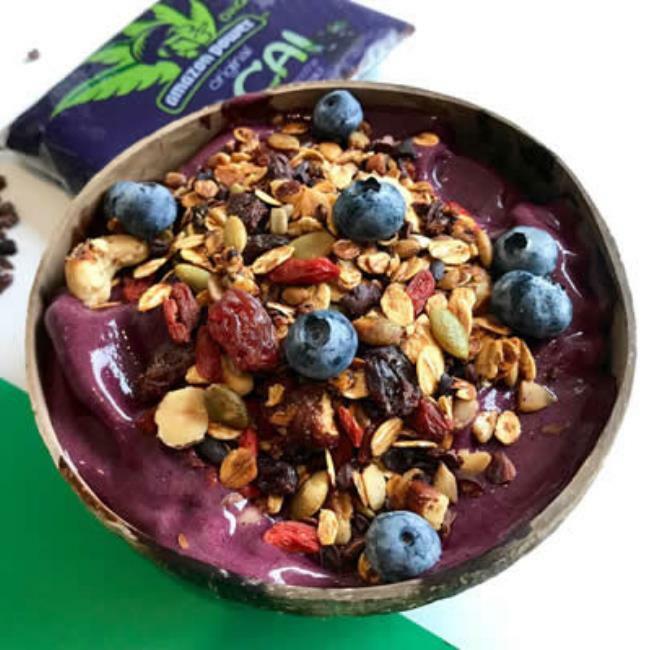 To help it blends add only 60 ml of Coconut Water. 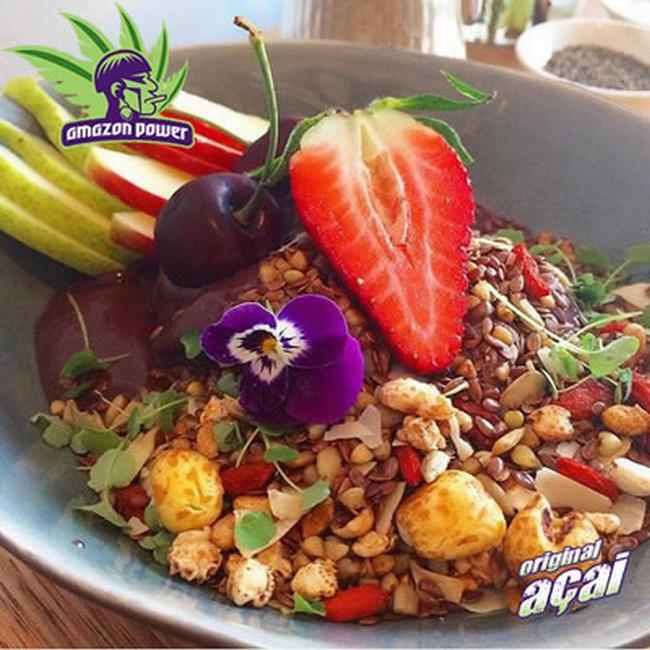 Serve it in a Bowl and top with Amazon Power Gourmet Granola plus Blueberries and Goji berries.